I then simply added a bow and glitter to embellish. This is gorgeous! Everything is coordinated and a perfect part of the layout and design. Gorgeous dies too. 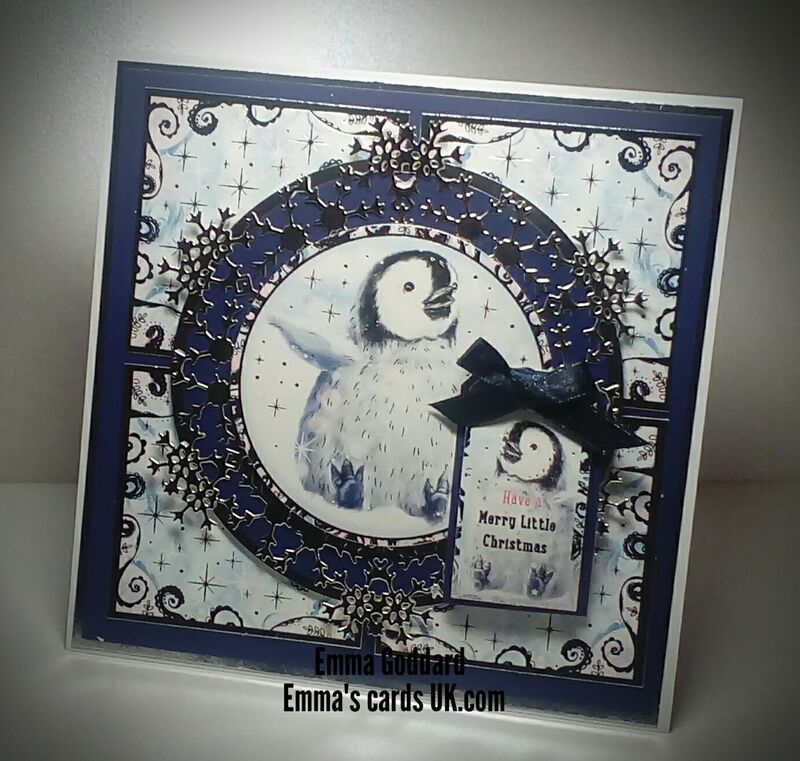 Hello… Thanks for joining our ‘Anything Goes’ challenge with your lovely Christmas card… cute little penguin. 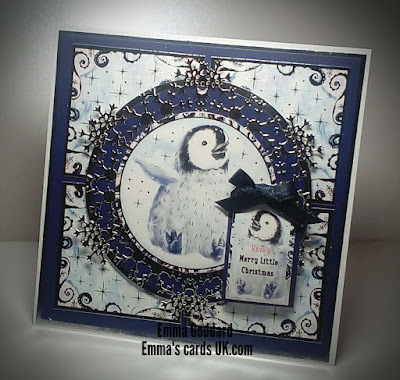 Please join us again next time at Crafty Friends Challenge Blog. Good luck!